A young boy from Carriacou will be travelling to Boston under the guardianship of his sister for life-changing treatment. However, there is an urgent need to raise US$4,000 for his immediate expenses, which include flights to obtain visas. Shermor Charles, 13, is a Form 2 student of Hillsborough Secondary School and resident of Harvey Vale. Shermor suffered 3rd degree burns 4 years ago, when he was only 9 years old. Shermor has since experienced discomfort, unnatural skin growth and scarring, and is considered a priority case for treatment that will help his skin return to normal. 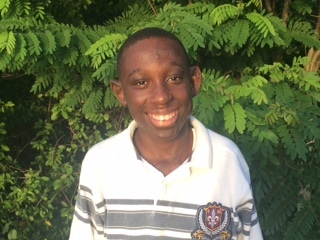 Shriners Hospital for Children in Boston, USA has agreed to accept Shermor and to provide his critical treatment at no expense, treatment that is not available in Carriacou or Grenada. The hospital specialises in burn injuries for children and provides cutting-edge medical care. It is expected that Shermor’s treatment will begin in March or April. Carriacou: Ministry of Carriacou and Petite Martinique Affairs & Permanent Secretary Mrs Bernadette Lendore-Sylvester, Grenada Co-Operative Bank, The Ashby Windward Foundation, Kayak Kafe, Dr Sue Thomas, Mr Linton Lendore and Ms Camasha Thomas of the Division of Youth, Ms Corine Milne, and Mr Richard Van Neste. Fundraising activities have taken place in Carriacou at a football tournament and at a luncheon jewellery sale whilst additional donations have been made from generous individuals and the Grenada Co-Operative Bank. With further support from the community, the team behind the Shermor Charles Medical Fund hope to surpass the immediate fundraising total, thereby securing vital monies for further treatment for Shermor in the coming years. The team behind the Shermor Charles Medical Fund was delighted to receive the news that Hospitality Homes in Boston have matched Shermor and his sister with a family who have kindly agreed to provide accommodation for the 3 months needed to complete treatment, due to begin in March or April.